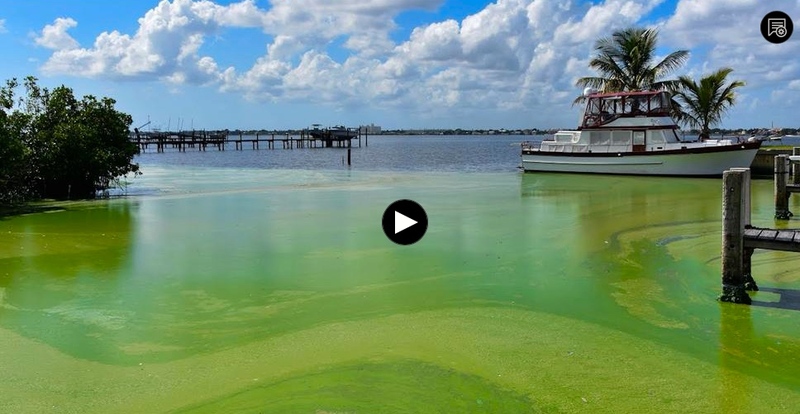 Feeling like the Bahamas, rather than the toxic-sludge we had to endure ~coming mostly from Lake Okeechobee this past summer, 2018, and yes, remember 2016, and 2013….the destruction must stop! NEVER FORGET! 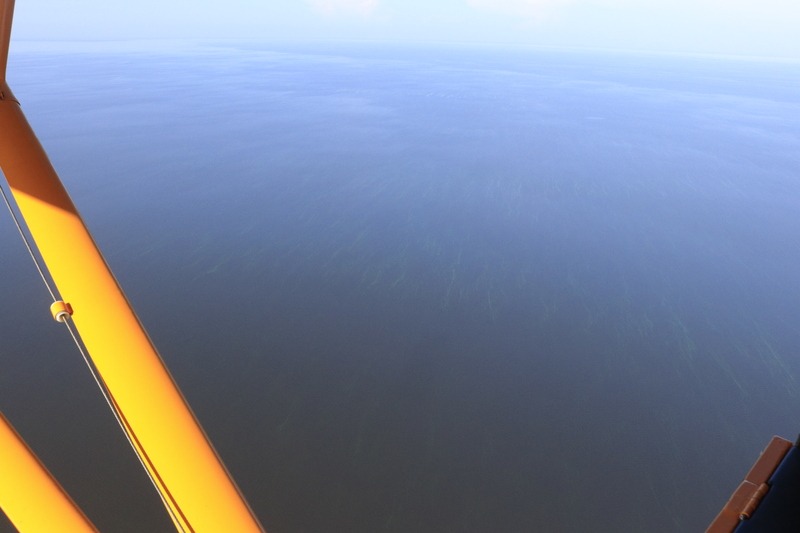 Town of Sewall’s Point, Martin County Florida, 9-2013 surrounded by polluted waters released from Lake Okeechobee. Even the ocean brown! 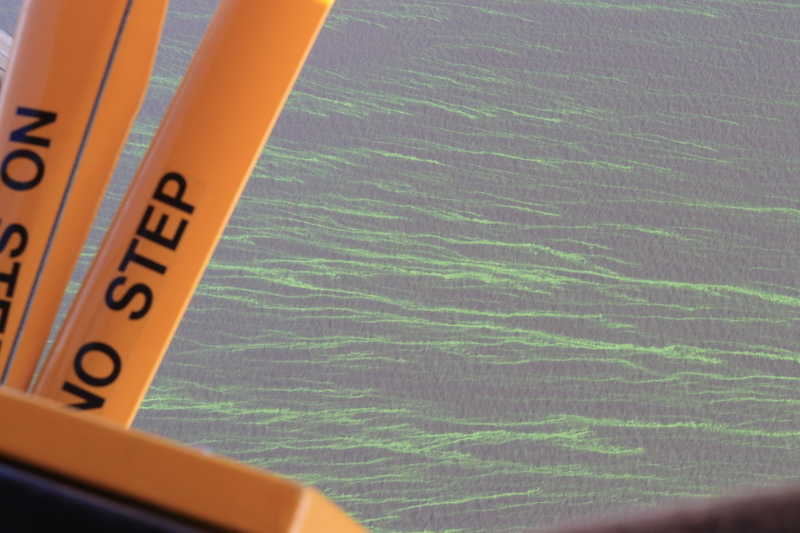 Similar years were 2016 and 2018 both with cyanobacteria blooms along shorelines. This awful sediment, and nutrient filled water is dumped on us by our federal and state government and is a health hazard. Sometimes the history of the Everglades is really confusing. Why, with all of the environmental advocacy, since the 1970s, does the health of our environment remain crippled? 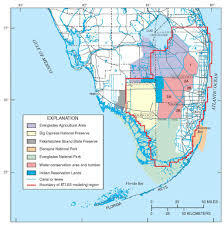 One way to simplify it is to think in terms of before and after the 1947 U.S. Central and South Florida Plan. Of course there is extensive history before 1947, but it was after 1947 that things in South Florida’s water world became culturalized, compartmentalized, and legally defined. 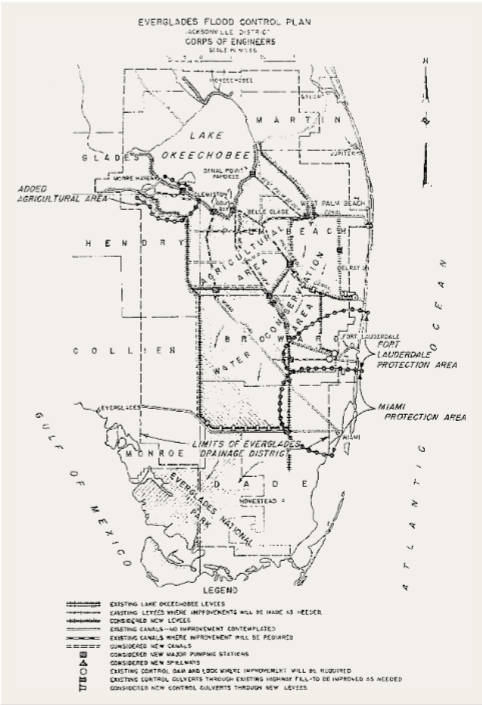 Before we talk about this 1947 Central and South Florida Plan, let’s review some important highlights pre-1947. 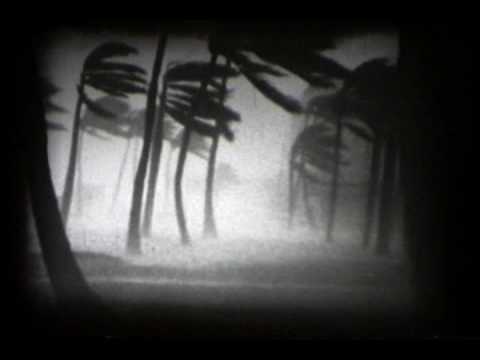 In 1947 it rained and rained, and there were two hurricanes. From Orlando to Florida Bay the agricultural and developed lands, that had been built in drained, once marshy, swampy areas, really flooded, and in some places a foot of water sat for months. There was great economic loss. The crying cow booklet, above, was sent to every member of the U.S. Congress. Next, mirroring the same terminology the United States Government had used (the Central and South Florid Project) the state of Florida created the “Central and South Florida Flood Control District” to manage that CENTRAL and SOUTH FLORIDA PROJECT. A bit confusing huh? A tongue twister. And in a way one could say, at that time, the Central and South Florida Project and the Central and South Florida Flood Control District “became one.” The overall goal above all other things was flood control. And this marriage of the Central and South Florida Project and the Central and South Florida Flood Control District was successful at controlling the waters, but it also killed the natural environment, thus Florida herself. This embedded cultural philosophy of “flood control only” was challenged in 1972 with the birth of the national environmental movement, and a consciousness that the natural system that supported Florida’s tourism, quality of life, agriculture, not to mention valuable wildlife, was in tremendous decline. 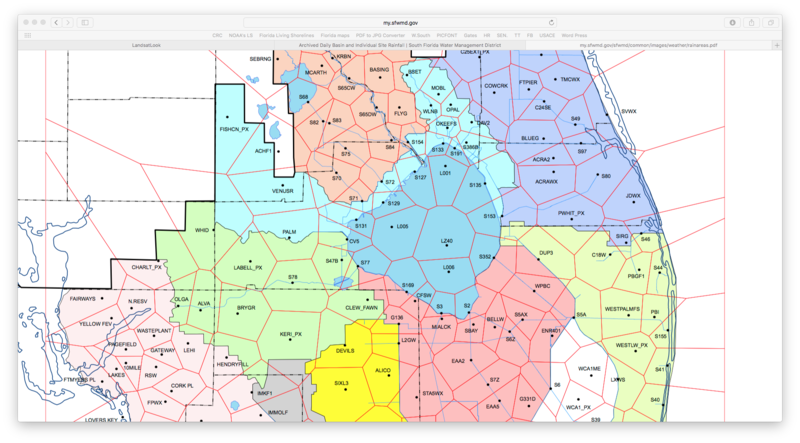 This law created five Florida water management districts with expanded responsibilities for regional water resources management including environmental protection not just flood control. 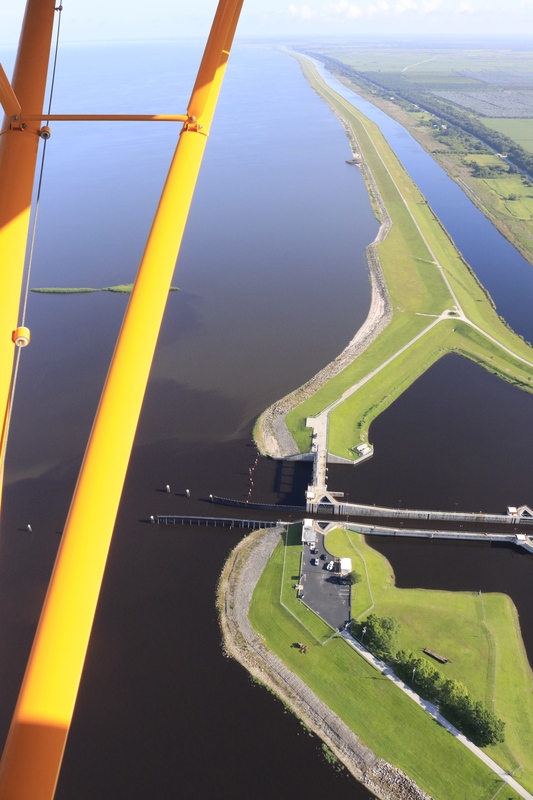 Last Thursday on November 16, the ACOE reported they will reduce the amount of water they are releasing from Lake Okeechobee. The Corp had been releasing at a high rate, on and off, since September 20th. New targets are 2800 cfs east and 6500 cfs west. Photos below were taken yesterday, 11-19-17 by my husband, Ed Lippisch. 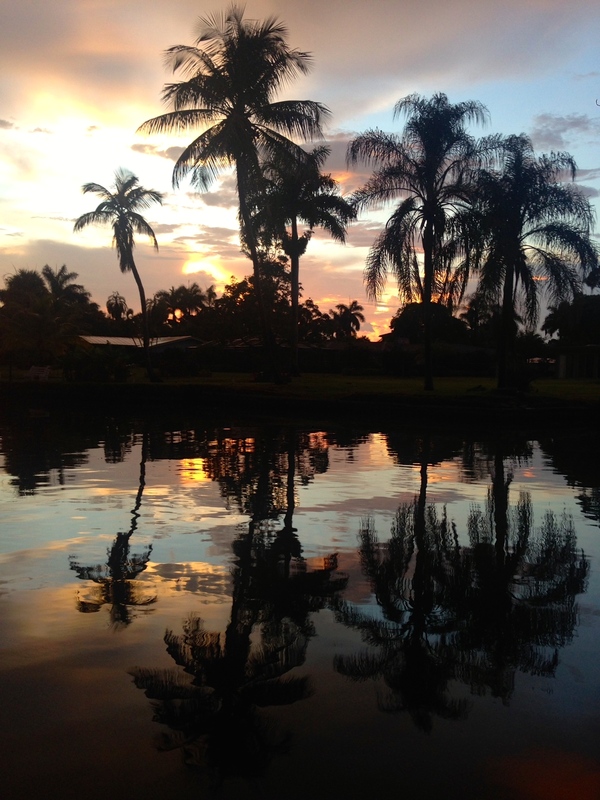 We will continue to document the discharges from Lake O, and area canals. As Thanksgiving approaches, we are thankful the discharges are lessened and that the SFWMD and the public are working hard to plan the EAA Reservoir Senator Negron fought for… We the people of Martin County, will not be satisfied until these discharge stop. The river has its hands full with unfiltered discharges draining agriculture and developed lands from C-23, C-24, C-25 and C-44. All must be addressed. St Lucie Inlet, Sailfish Point R, Jupiter Island L, and Sewall’s Point and mainland Stuart in distance. SFWMD canal and basin map. C-44 canal is the canal most southerly in the image and was connected to Lake O in 1923. C-23, C-24 and C-25 were built later in the 50s as part of the Central and South Florida Project that over-drianed South Florida causing many of the water problems we live with today. As the possibility of a direct hit from Hurricane Irma approaches, I can’t help but reflect. 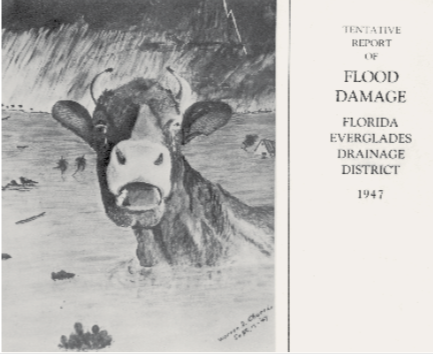 Looking back, we see that it was the severe flooding and the hurricane season of 1947 that led Florida and the U.S. Government down the track to where we are today through the creation of the Florida Central and South Florida Flood Project, (CSFP). As September approached and the rains continued, the ground in the Everglades became waterlogged and lake levels reached dangerous heights. Then, on 17 September, a hurricane hit Florida on the southwest coast, passing Lake Okeechobee on the west and dumping large amounts of rain on the upper Everglades, flooding most of the agricultural land south of Lake Okeechobee. Such conditions were prevalent throughout the region. 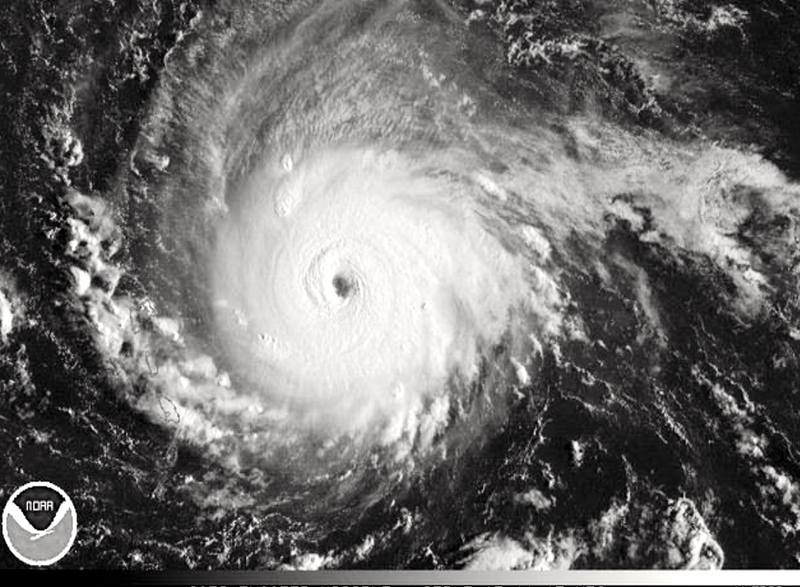 Before the area had a chance to recover from the devastation, another hurricane developed, moving into South Florida and the Atlantic Ocean by way of Fort Lauderdale. Coastal cities received rain in large quantities, including six inches in two hours at Hialeah and nearly 15 inches at Fort Lauderdale in less than 24 hours. Well, what was done was the Central and South Florida Flood Project. 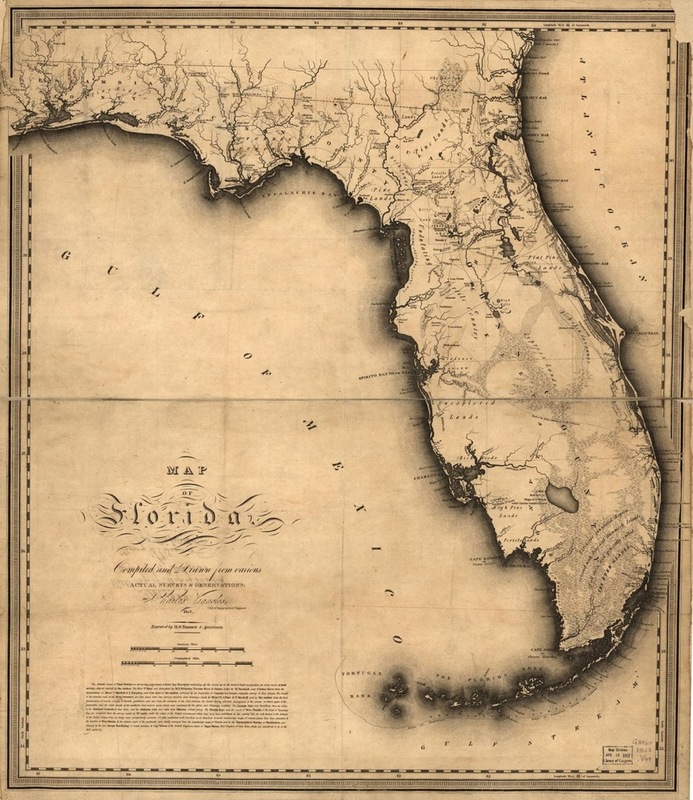 Key Florida politicians, and the public demanded the Federal Government assist, and as both the resources and will were present, the project was authorized in 1948 with massive additional components making way not only for flood protection, but for even more agriculture and development. 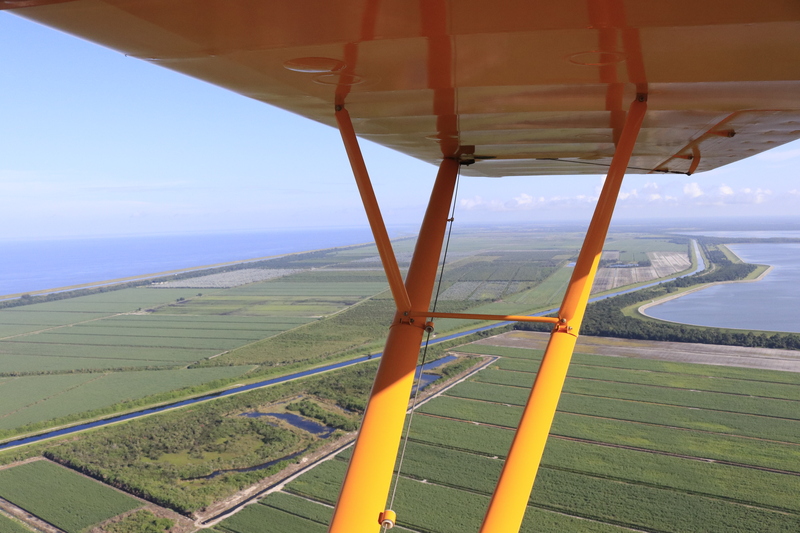 In Martin County and St Lucie County this happened by the controversial building of canals C-23, C-24, C-25 and “improving” the infamous C-44 canal that connects to Lake Okeechobee. This construction was basically the nail in the coffin for the St Lucie River and Southern Indian River Lagoon. But before the death of the environment was clear, the Corps developed a plan that would include 1,000 miles of levees, 720 miles of canals, and almost 200 water control structures. Flooding in coastal cities and in the agricultural lands south of Lake Okeechobee would be minimized and more controllable. Yes, a goal of the program was to provide conservation areas for water storage, protecting fish and wildlife habitat. 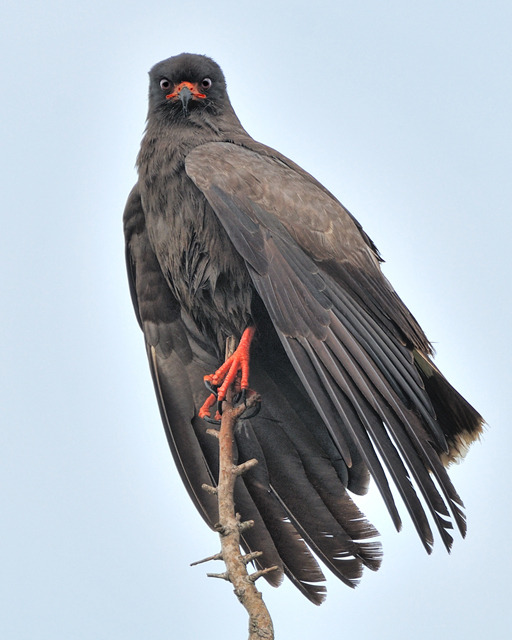 Although water conservation areas were constructed, conservation of wildlife did not work out so well, and has caused extreme habitat degradation of the Everglades system, Lake Okeechobee, the southern and northern estuaries, the Kissimmee chain of lakes, and Florida Bay. Nonetheless, this project made possible for over five million people to now live and work in the 18,000 square mile area that extends from south of Orlando to Florida Bay “protected from flooding” but in 2017 living with serious water quality issues. SFWMD basin map for SLR showing S-308 and S-80 along with other structures. Dr. Gary Goforth ready to tour the SLR & Lake O. Mind you, for non-scientist people like myself, a “water year” is reported from May of one year, through April the next year, as opposed to a calendar year. The full report is linked at the bottom of the post and contains numerous helpful charts. I have just included the key findings below. 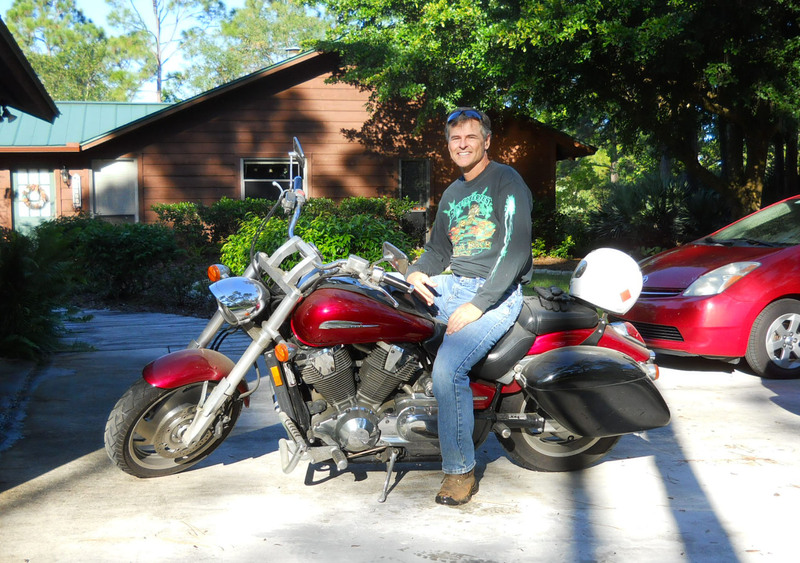 Water Quality Assessment of the St. Lucie River Watershed –Water Year 2017 – DRAFT Gary Goforth, P.E., Ph.D.
1. 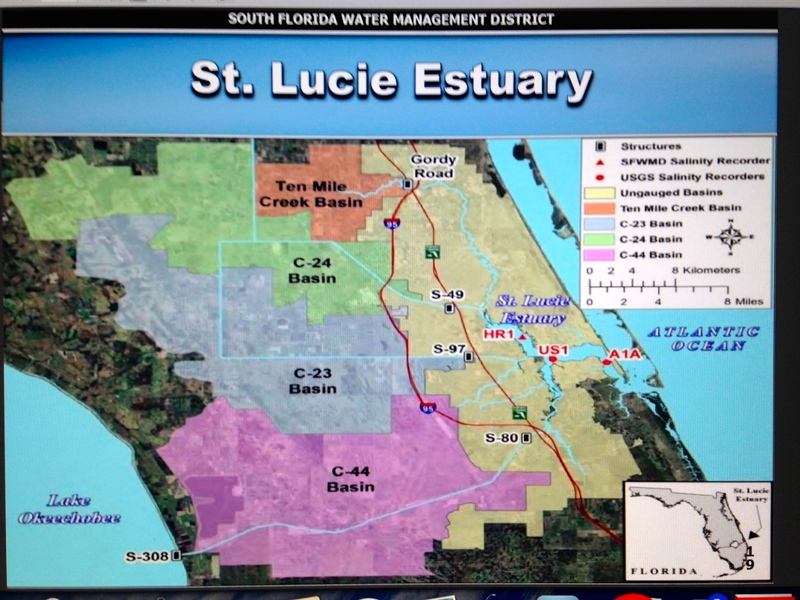 Over the last water year (May 2016 – April 2017), the surface water entering the St. Lucie River and Estuary (SLRE) in general was of poor water quality. The best water quality entering the SLRE was from the highly urbanized Tidal Basins. 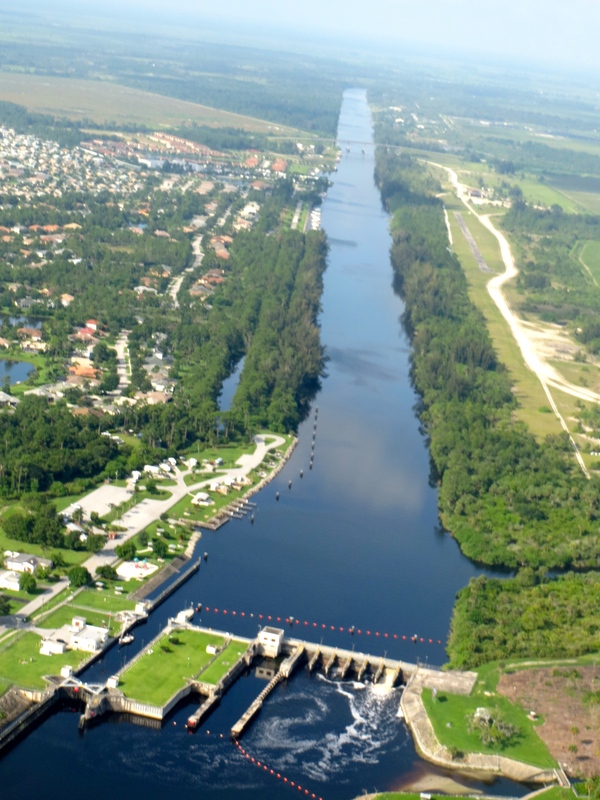 The largest source of phosphorus, nitrogen and sediment pollution to the SLRE was Lake Okeechobee discharges. The C-44 Canal Basin contributed poor water quality, and was the only basin demonstrating a worsening in water quality over the last ten years. 2. 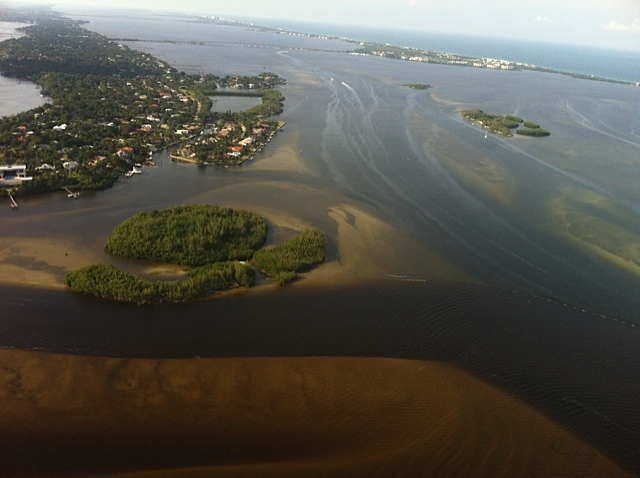 It was estimated that stormwater runoff from agricultural land use contributed more flow and nutrient pollution than any other land use, even contributing more flow than Lake Okeechobee discharges. 3. The annual Basin Management Action Plan (BMAP) progress reports produced by the Florida Department of Environmental Protection continue to indicate water quality conditions in the tributaries of the SLRE are better than they actually are. 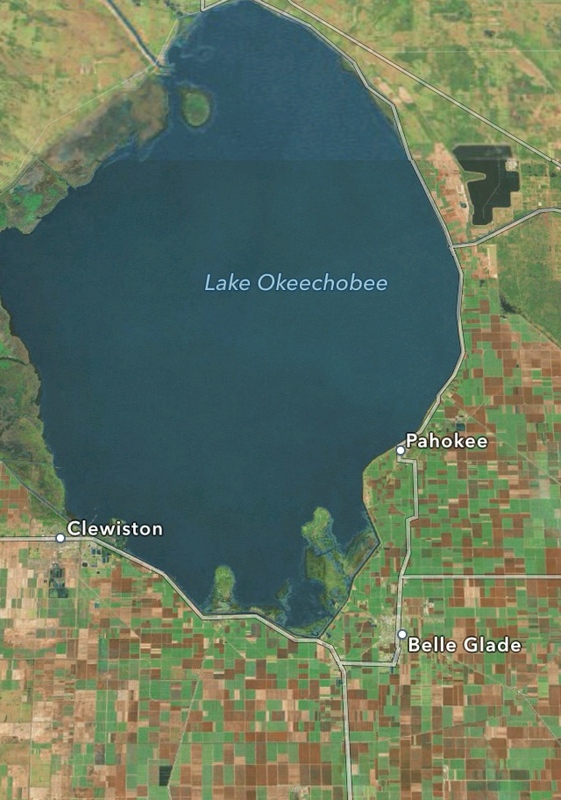 Examples of flaws in the BMAP assessment process include the omission of Lake Okeechobee pollution loads, the use of simulated data instead of observed data, the inability to account for hydrologic variability, and the inability to assess individually each of the major basins contributing to the SLRE. 4. An alternative to the assessment approach presented in the BMAP progress reports was developed and used to evaluate water quality conditions of major inflows to the SLRE and to assess progress towards achieving the Total Maximum Daily Load (TMDL) load reduction goals. This alternative approach uses observed data, includes Lake discharges, accounts for hydrologic variability, and is applied to each of the major basins contributing pollution loads to the SLRE. For WY2017, observed nitrogen loads to the SLRE exceeded the Phase 1 BMAP target loads (adjusted for hydrologic variability) by 77 percent. 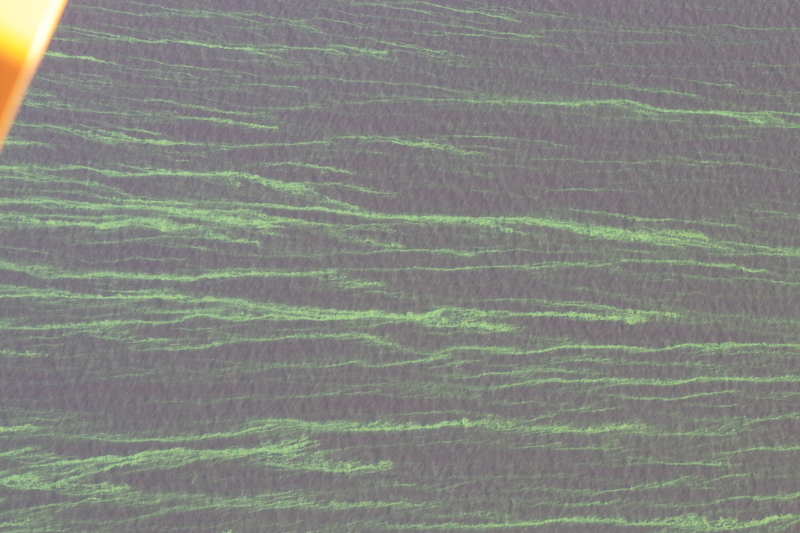 Observed phosphorus loads exceeded the Phase 1 BMAP target loads (adjusted for hydrologic variability) by 53 percent. 5. 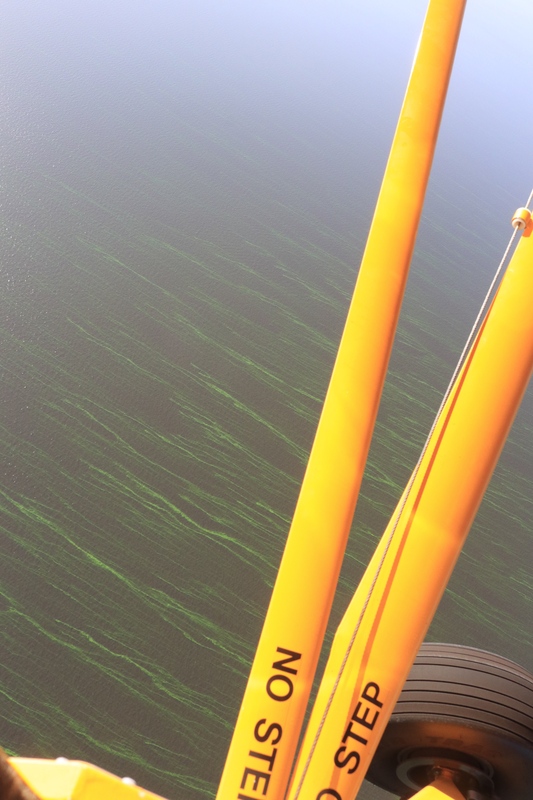 The largest single source of total nitrogen, total phosphorus and sediment load to the SLRE was Lake Okeechobee discharges. 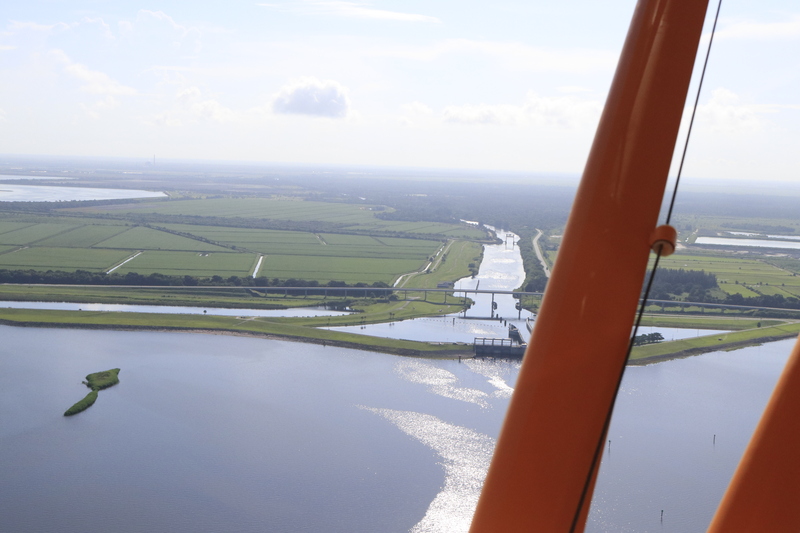 In addition, total phosphorus concentrations in Lake Okeechobee discharges to the SLRE remained almost four times the lake’s TMDL in-lake target concentration of 40 parts per billion (ppb). 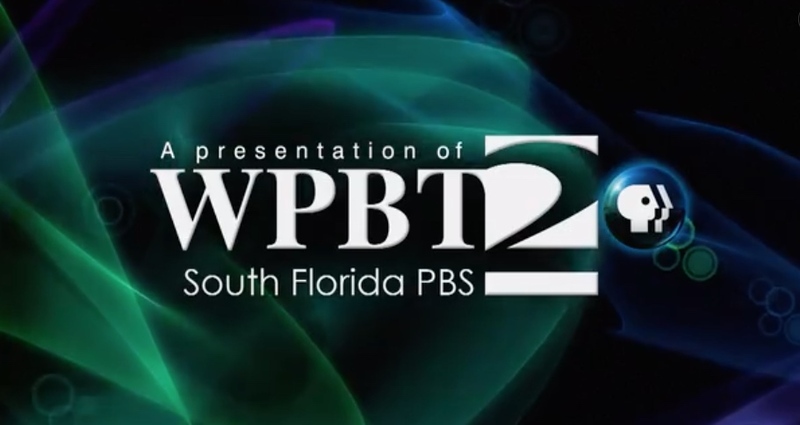 In 2017, the South Florida Water Management District (SFWMD) reported that phosphorus loading to the lake from surrounding watersheds was almost 5 times the Lake’s TMDL of 105 metric tons, yet staff acknowledged the agency does not enforce permits that set numeric limits on phosphorus discharges to the lake (SFWMD 2016, SFWMD 2017). 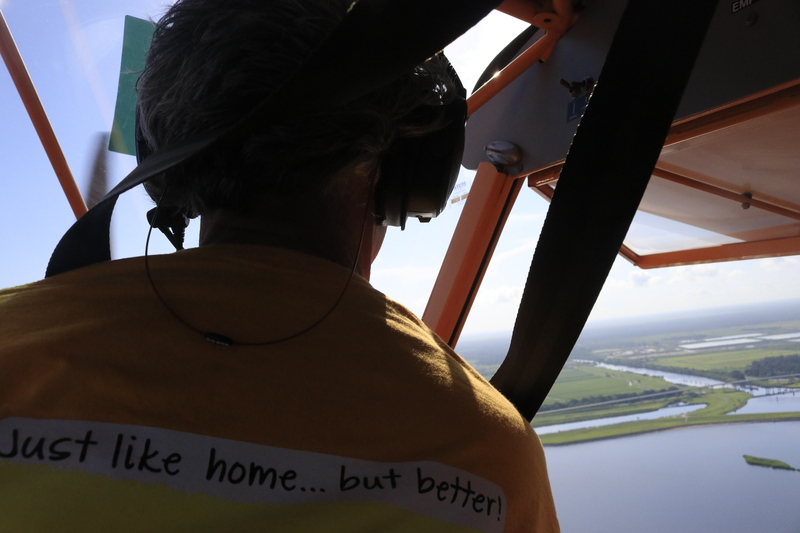 Unfortunately, despite the continued and well-publicized pollution of the lake, the Florida legislature in 2016 enacted a water bill that pushed back deadlines for achieving the lake’s TMDL by decades (Ch. 2016-1). 6. The best water quality entering the SLRE during WY2017 was observed in the highly urbanized Tidal Basins, with concentrations of 97 ppb and 819 ppb for TP and TN, respectively. Each of the remaining source basins, except the C-44 Canal Basin, exhibited a slight improvement in nutrient levels compared to their base periods, however, collectively these WY2017 loads did not achieve the alternative BMAP Phase 1 load target (Figures ES-1 and ES-2). The C-23 and Tidal Basins met the alternative BMAP Phase 1 target for TP, while the C-23, C-24 and Tidal Basins met the alternative BMAP Phase 1 target for TN. The predominantly agricultural C-44 Canal Basin exhibited poor nutrient conditions, and in fact, continued a trend of deteriorating nutrient conditions compared to its 1996-2005 base period. 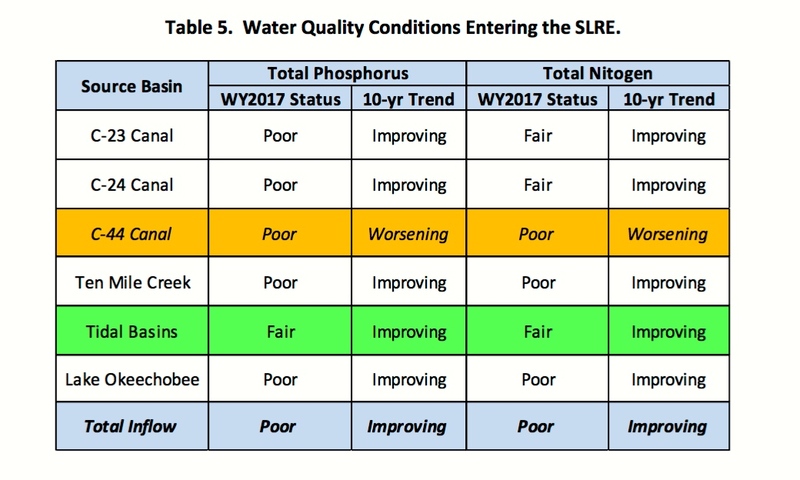 As a whole, the water quality entering the SLRE remains poor, although a slight improvement over the 1996-2005 period was observed. Hello Readers. Hope you are having a good summer! 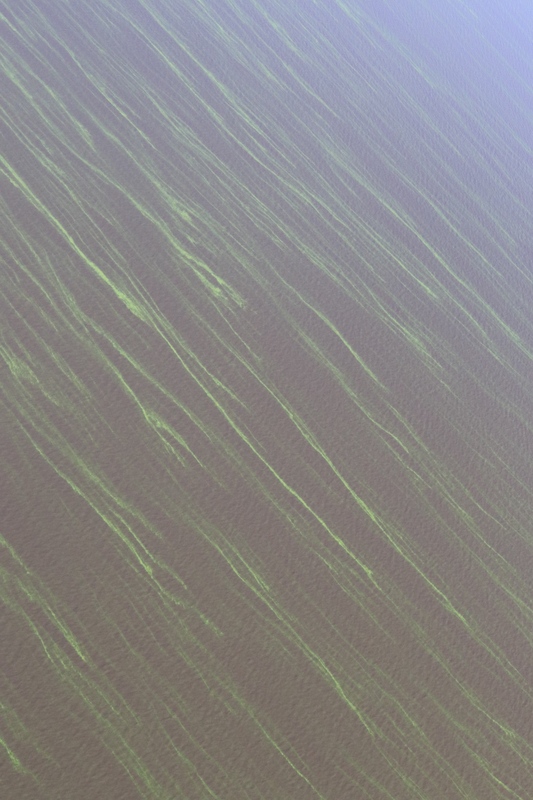 Very strange to be surrounded by water and bright-colored lines of algae; it resembled miles of suspended fluorescent paint. 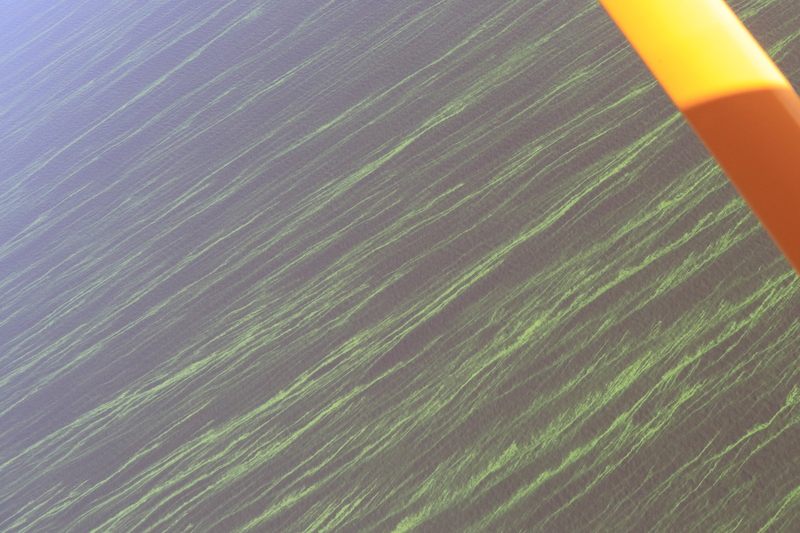 I have heard the scientists talking about how the algae comes up in the morning for sunlight and then goes back down into the water column later in the day. It is intelligent, like an animal, and knows how to hide. 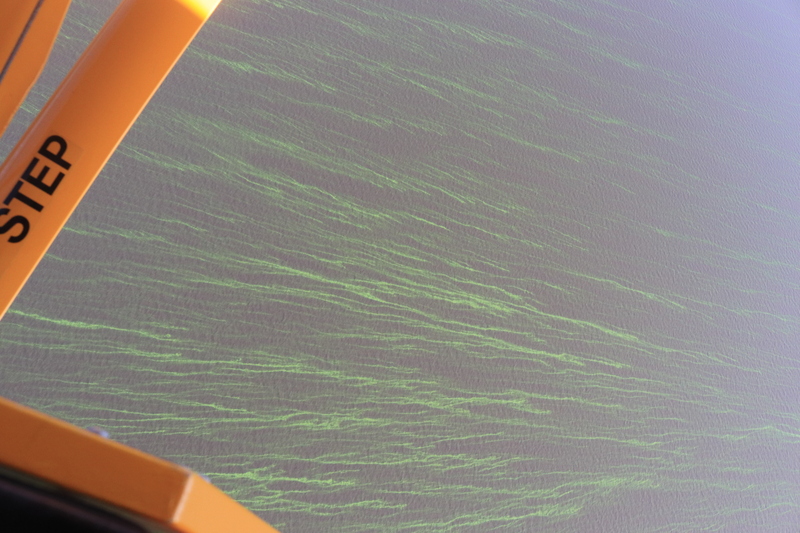 You have to track it…. The living bloom was quite extensive, going on for many miles. My photos do not do the color or amount justice, but do document. This is important. Thank God the ACOE is not dumping into the St Lucie River/Indian River Lagoon this summer. Poor lake O, on the other hand, has been getting “backwards flowing” C-44 water and back-pumped water from the EAA, STAs, and WCAs. No wonder its a mess! *Reader, Professor Geoff Norris recommends we ask NOAA to create a bulletin for Lake O like this one here for Lake Erie since basically we are “in the same boat:” I think this is a great idea. I will have to contact NOAA. She was right! So glad she let me know as I may have missed it. If you did, you can view on link below. 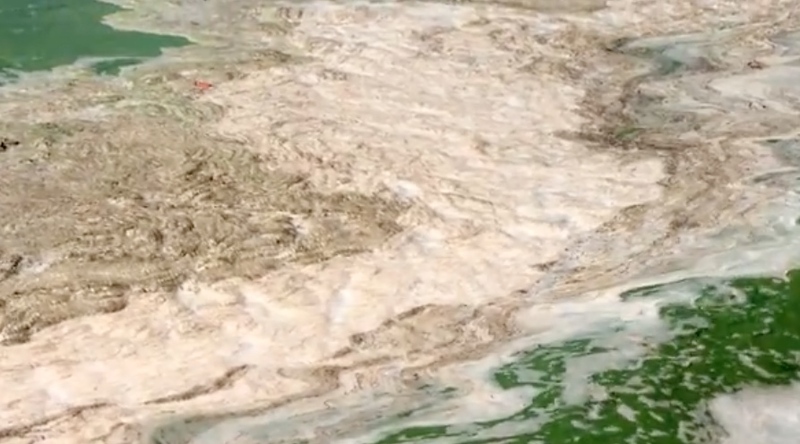 There is incredible footage of the 2016 toxic algae event caused primarily by forced discharges by the ACOE and SFWMD from Lake Okeechobee into the estuaries, St Lucie and Caloosahatchee. 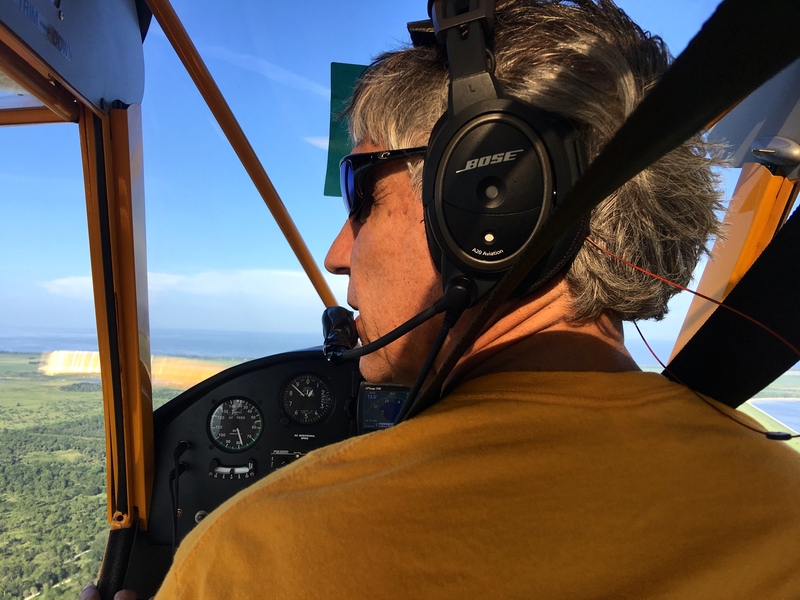 South Florida locals such as Mary Radabaugh, Dr Edie Widder, Dr Brian LaPointe, Mark Perry, Phil Norman, Dr Larry Brand, Dr Steve Davis, and Col. Jennifer Reynolds are prominently featured. 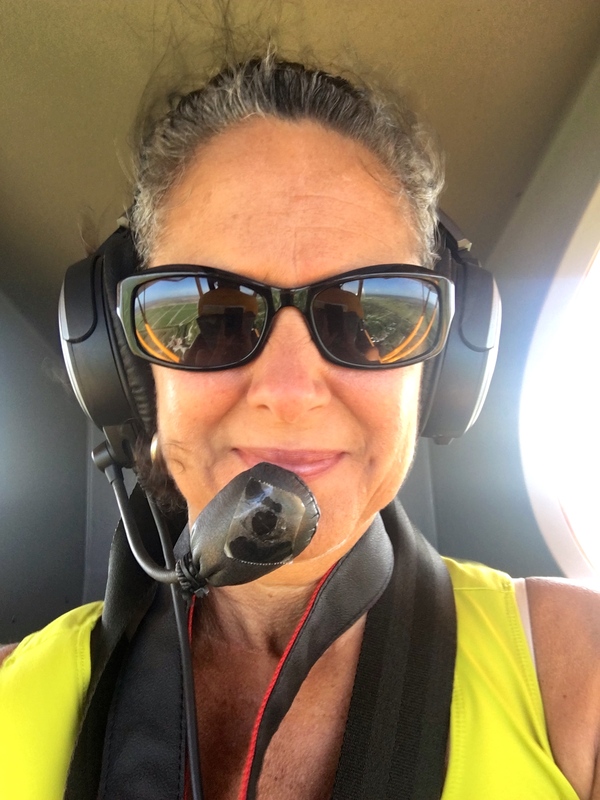 Edie Widder’s political commentary at the end is priceless. 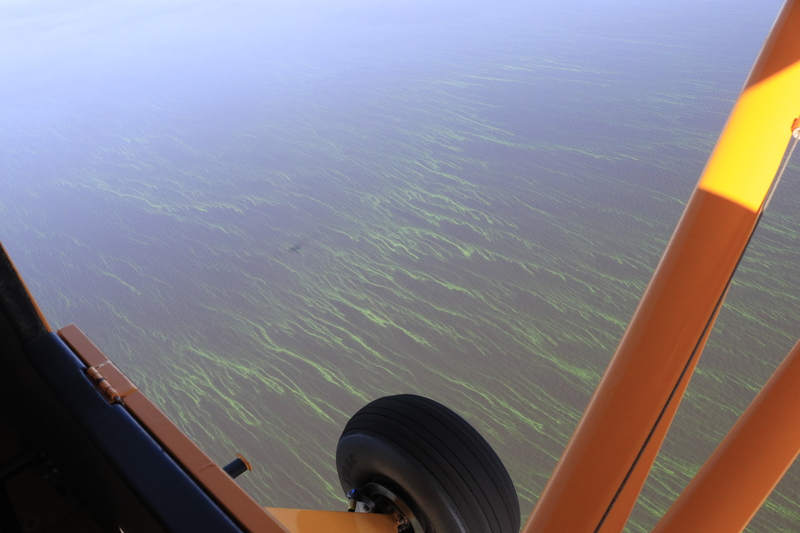 Toxic Algae: Complex Sources and Solutions. 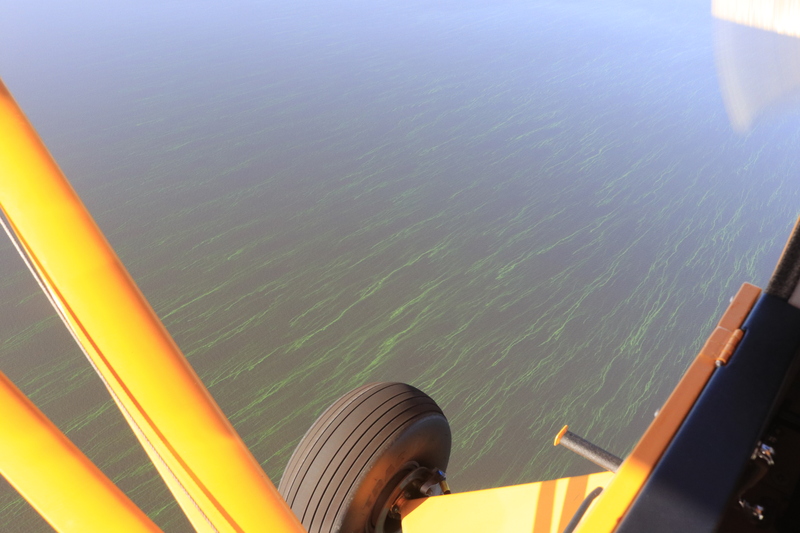 Water releases from Lake Okeechobee periodically create putrid mats of blue-green algae. Scientists think water pollution is to blame, and if something isn’t done about it there could be irreparable damage to the environment, the local economy and people’s health. Thank you Changing Seas for covering this important topic!